A reference tool that provides an overview of the history of Christian political thought with selections from second century to the seventeenth century. 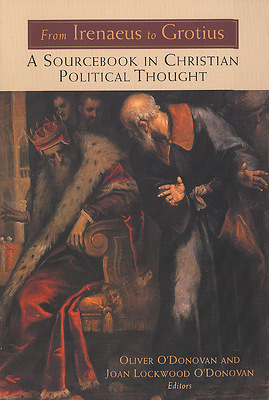 From the second century to the seventeenth, from Irenaeus to Grotius, this unique reader provides a coherent overview of the development of Christian political thought. The editors have collected readings from the works of over sixty-five authors, together with introductory essays that give historical details about each thinker and discuss how each has contributed to the tradition of Christian political thought. Complete with important Greek and Latin texts available here in English for the first time, this volume will be a primary resource for readers from a wide range of interests.